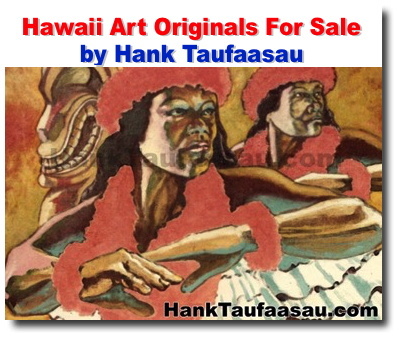 Here is the latest news about my Hawaii Art. Inspiration: Kalakaua, young and old. 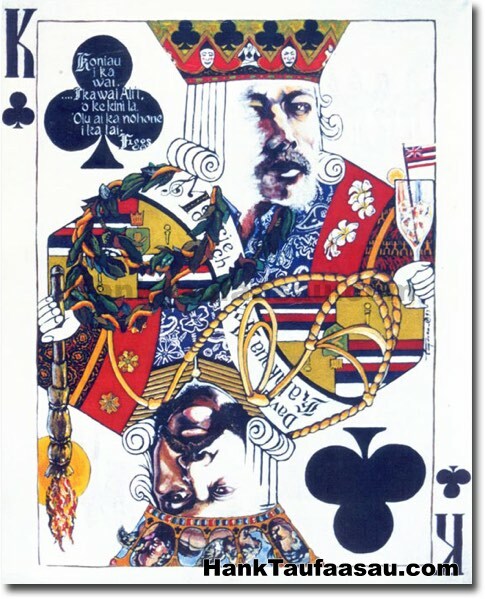 Bottom depicts Kalakaua at age 19, in charge of the National Guard, head in the clouds, holding the family's totem, a lit torch at midday. 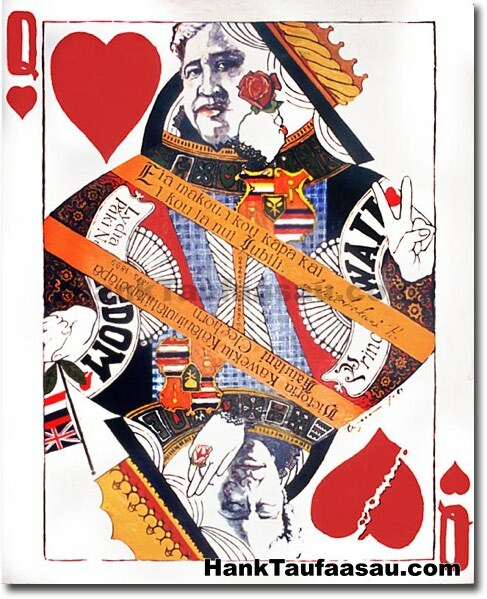 The top shows Kalakaua in his dotage, The Merrie Monarch who revived the arts. 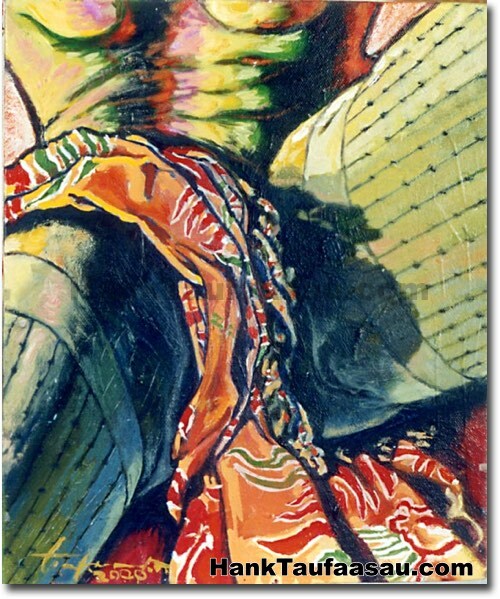 He penned the drinking song, "Koni au i ka wai" under the pseudonym Figgs. We value our relationship with you! 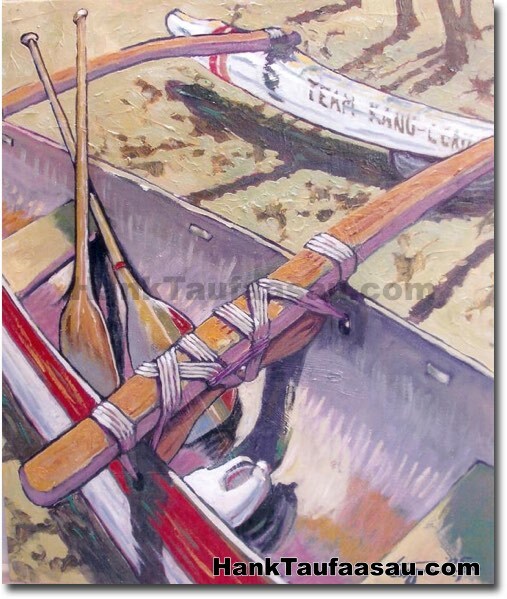 If you don't want to receive Emails from Hank Taufaasau on special offers, and general news please reply to this Email with "DISCONTINUE" in the subject line. Please accept our apologies for any inconvenience this may have caused you. Please keep this message intact so we can locate your record. 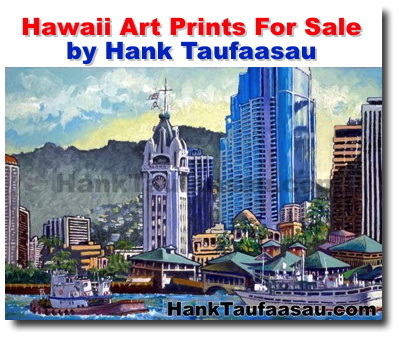 Purchasing a Hank Taufaasau print is a cost effective way to own excellent Hawaii Art. 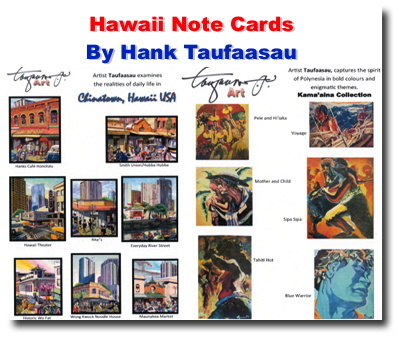 View available Hawaiian note cards by Hawaii Artist Hank Taufaasau. 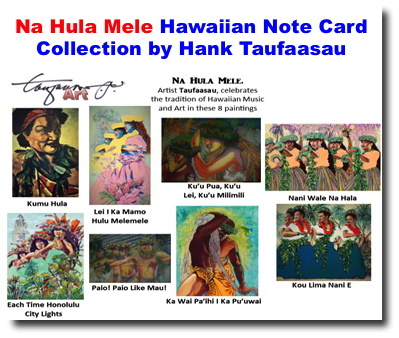 Copyright© 1999 - 2019 Hank Taufaasau. All rights reserved.